While I tend to decorate with lots of blues (hello! I have 4 boys), few colors make me as happy as pink. 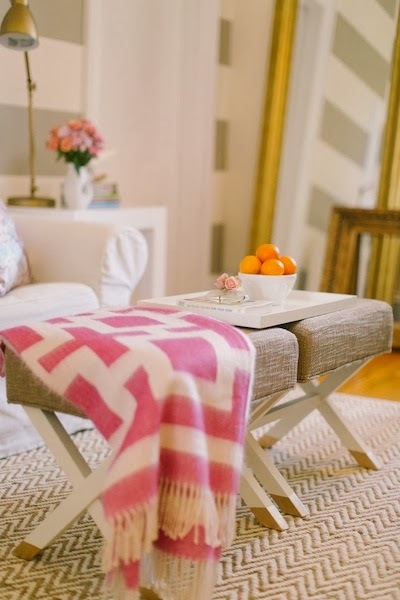 Vibrant or pale, pink coordinates beautifully with lots of different colors. 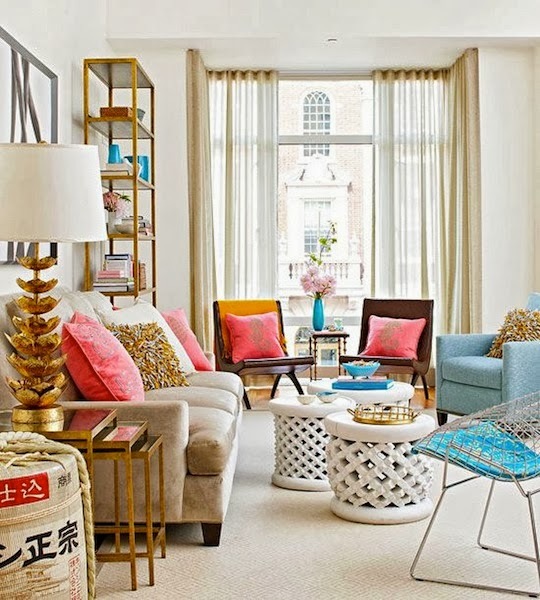 While pink may seem juvenile and better suited to a little girl's room, the right hue can be quite elegant when mixed with gold, or black & white, or blue & white. 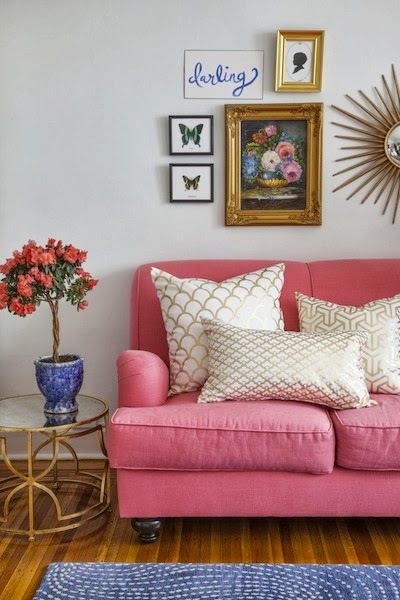 Pink is also right at home in boho chic settings. When used correctly, pink won't make your room resemble a bottle of Pepto Bismol. 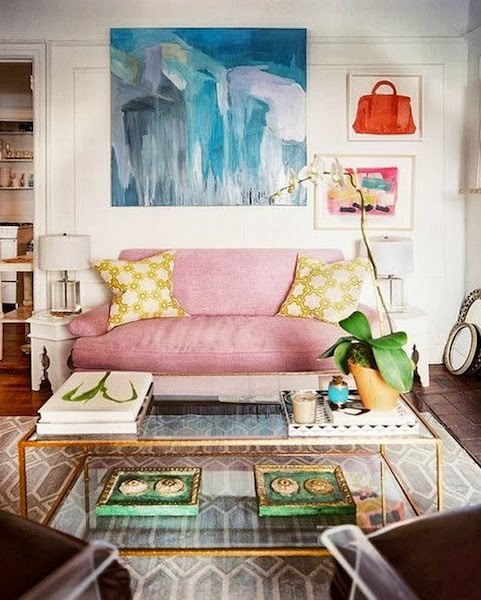 Small doses of pink in pillows, rugs, art, accessories, flowers and furnishings add sophistication and drama. Let's take a look at some pinks that are done right. 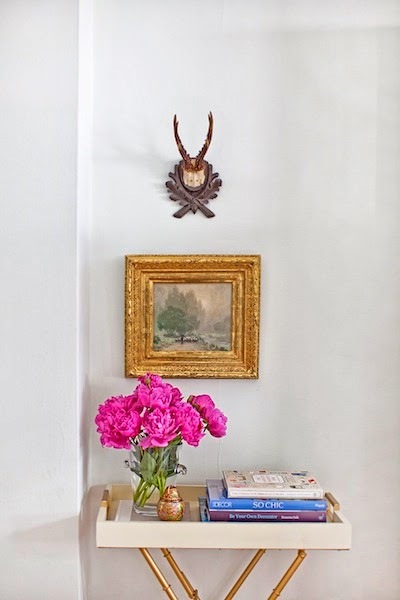 I've used pops of pink throughout my house in the living room, family room, and mudroom. How do you feel about pink? Love it, hate it? Tickled pink by it? I love pink, too. This is my first time on your blog, and I love it. That kitchen would be a dream for me. Can't wait to see your pink silk, how could that be anything but lovely. You had me at pink!!!!! Yup, I love pink. I'd love a deep pink sofa but I don't think my guy would go for it. At least he's game for white! 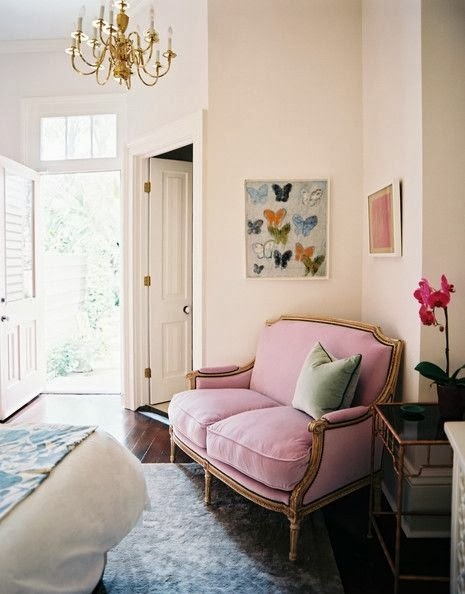 I love pink...I had a pink and white living room at one time...or should I say mauve! I couldn't agree more ~ pretty inspiration!